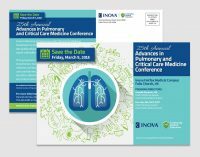 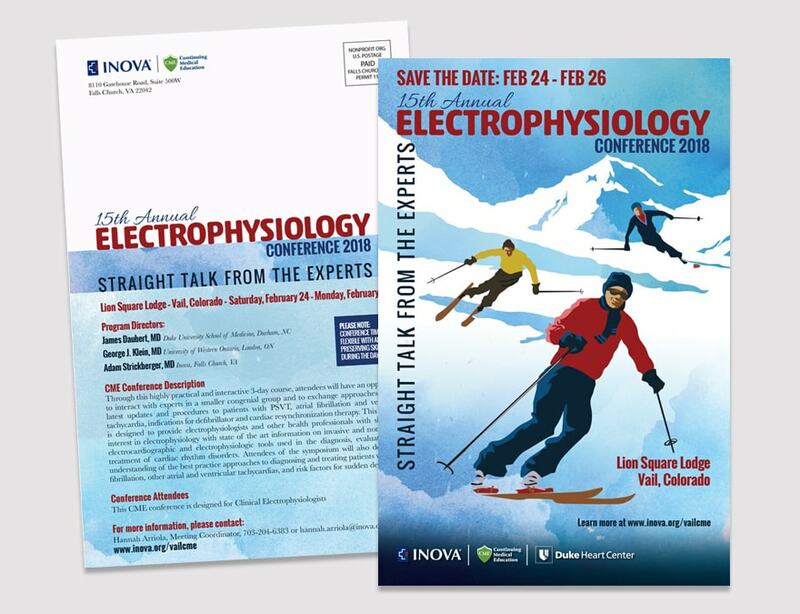 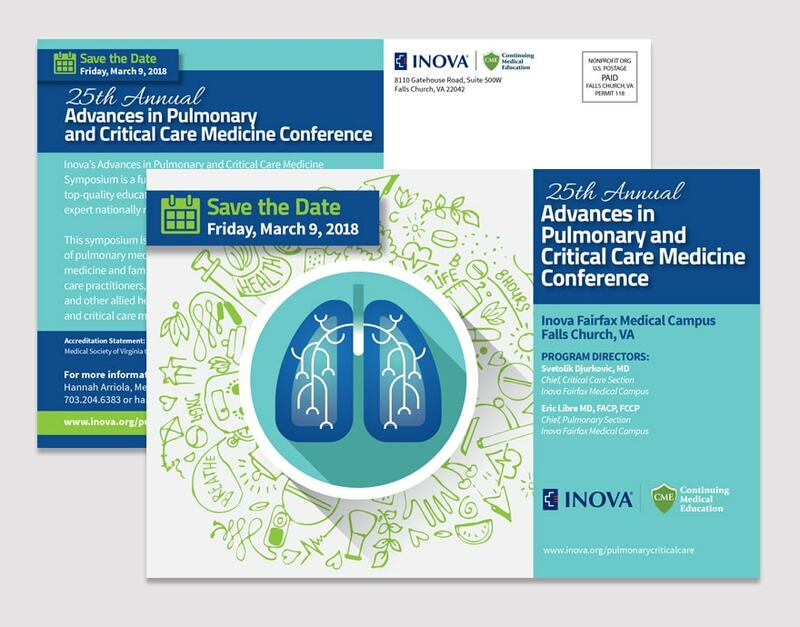 The Annual Electrophysiology Conference, produced by the Inova Continuing Medical Education Department, invites attendees to a 3-day symposium with time to ski during the course of the conference. 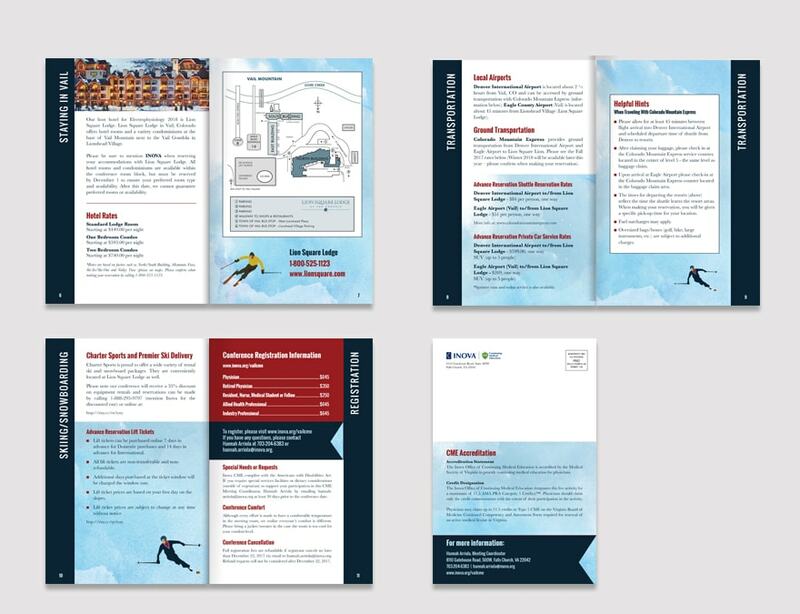 The program directors indicated that they wanted a “vintage” skiing look. 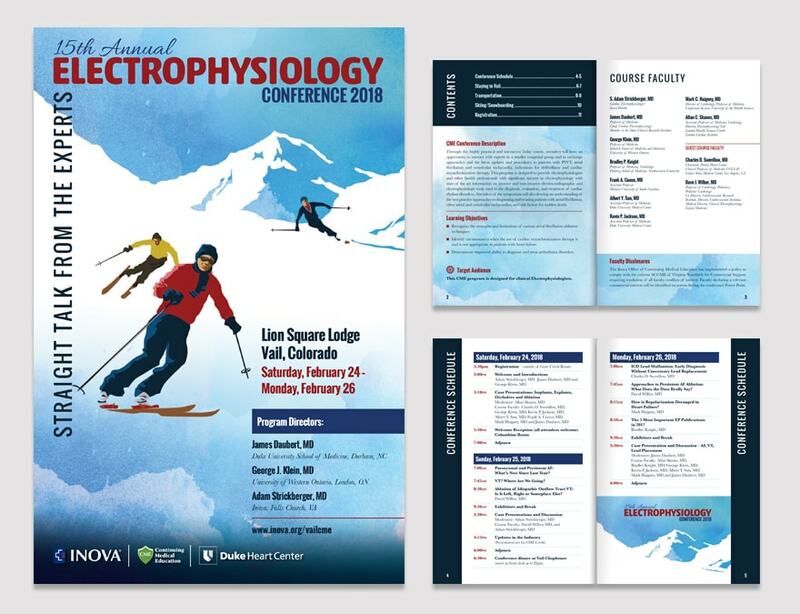 Vector drawn artwork combines with watercolor backgrounds and typography to achieve something reminiscent of old lithographed ski posters. 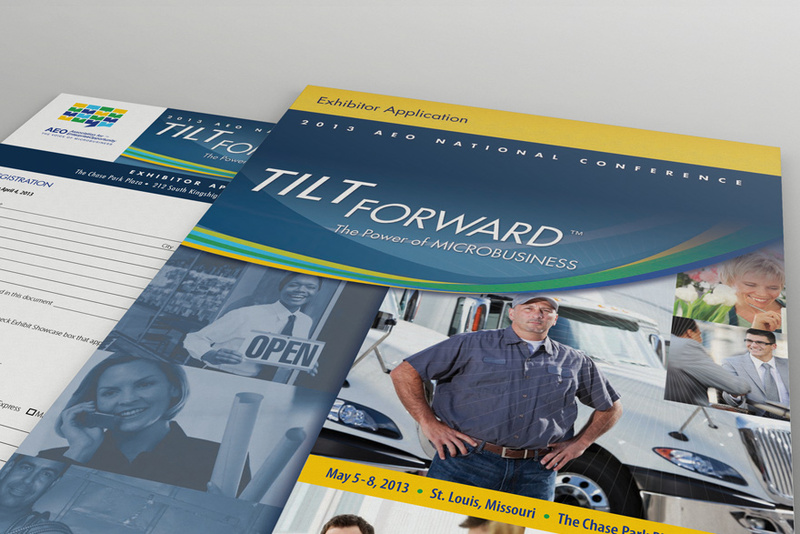 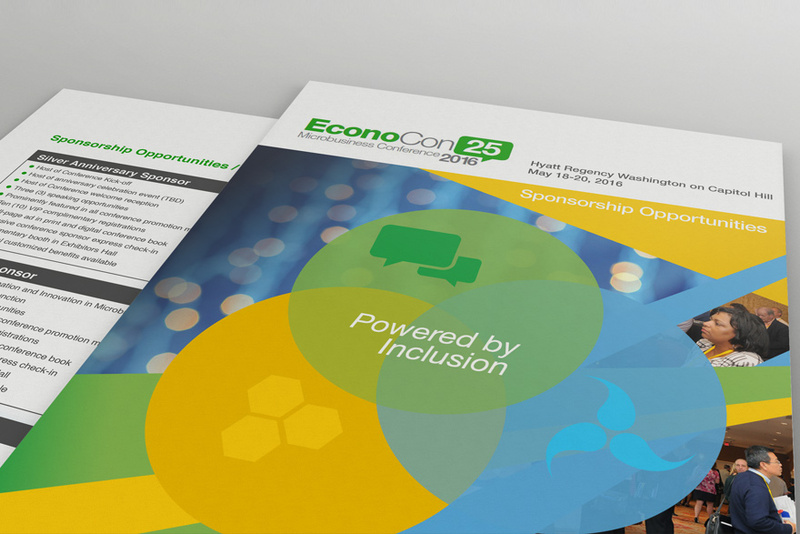 The event was marketed through a save-the-date postcard, program guide, and banner ads. 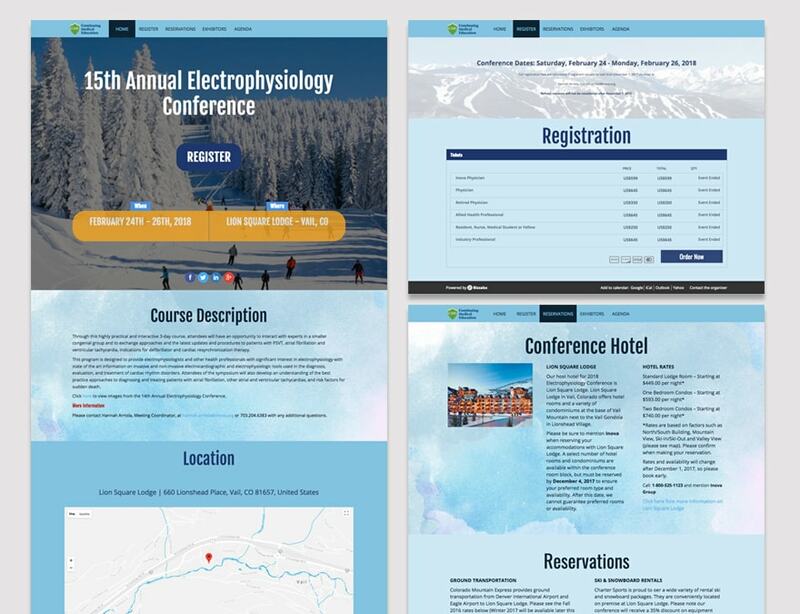 I also integrated the event branding into the website, executed through the organization’s event system of choice.